Paul Kmiotek of NY was in for a surprise when he opened a States Quarter Proof set that his In-laws gave him on his Birthday last September! The last thing he expected to find was a major error. 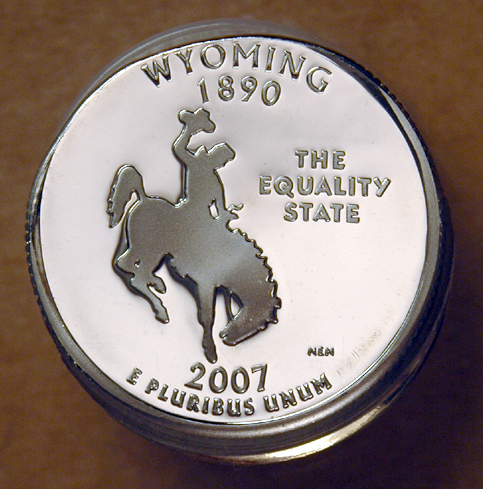 Yet, that is exactly what he encountered when he slid the set out it the Mint box and saw that lower right corner of the case was jammed partially open by the high flange of a mis-struck Wyoming State quarter! 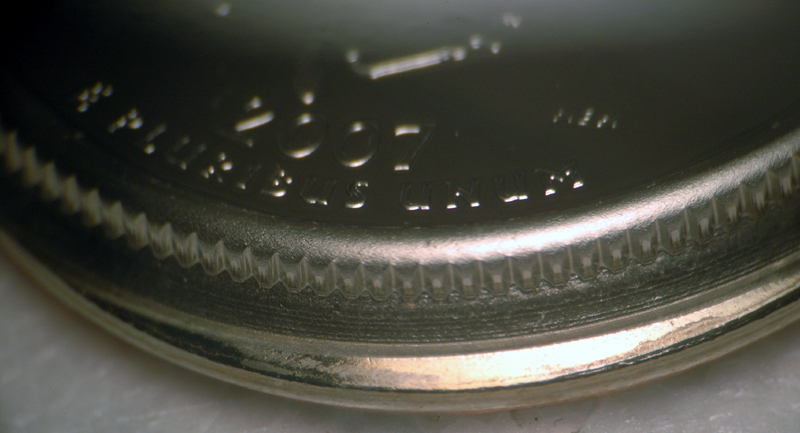 At first he didn't notice the error and tried to snap the case back closed but the high flange that was cupped upward from obverse forced it to spring back open. He then noticed the "problem" and decided to contact Numismatic News about his find. The report was forwarded to me and I then consulted with a pool of experts to see what they thought. Fred Weinberg of Encino, CA said, I'd call it a Close Overlapped Double Strike, Cupped, with a Tilted Partial Collar. 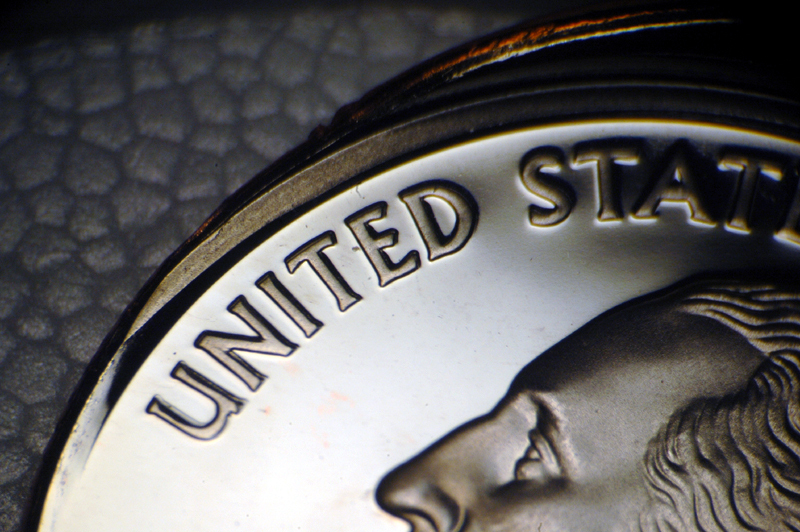 As a Proof States quarter, I'd estimate it at $1,500.00-$1,800.00 retail value." Neil Osina of Best Variety/ Sportscards & Coins of Glendora, CA felt the coin was more of the result of a tilted die with the doubling somehow being caused by this condition due to "slide" or metal flow. He was not convinced it was multiple struck saying, "I am aware that Proofs are struck multiple times but why is it not uniformly doubled and seems to favor the opposite side of the "off center" portion? This makes me think some sort of tilt is involved." He estimated its value at between $2500.00-$5000.00. 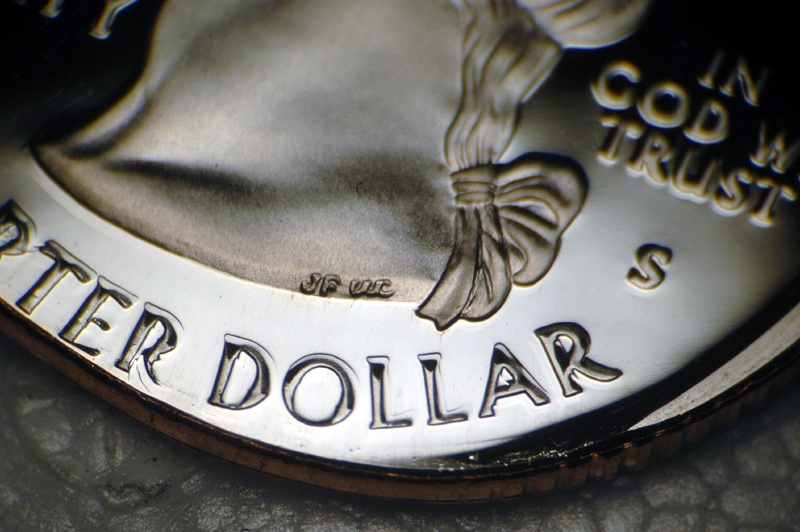 Mike Byers of Byers Numismatic Corp, San Clemente, CA said, "I have handled many double struck proof errors. This is clearly a rotated double strike. 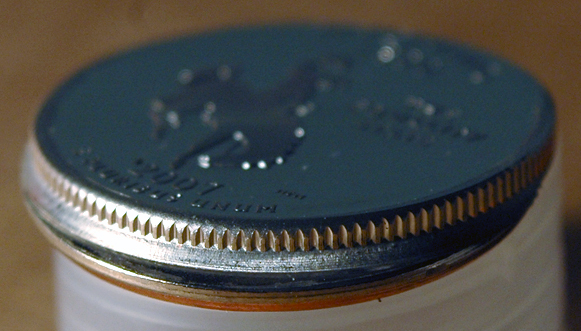 Since all proof coins are struck twice, it is really a "rotation error" but the four main grading services refer to it as a close overlap double struck with slight rotation. 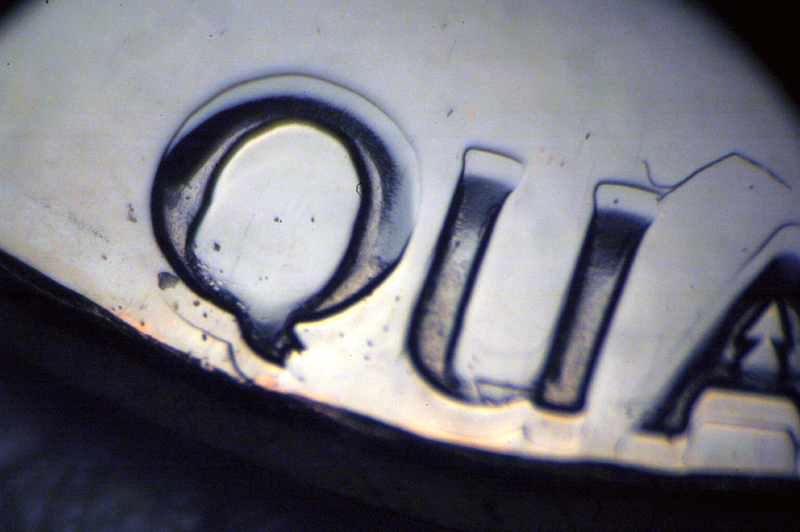 It's not just metal flow since there is distinct double lettering, it's out of round, and a high rim. I'd value it at $2500.00 or so. I think Fred's low, but Rich is high. Anyway- that's my opinion. Mike Diamond, President of the Combined Organizations of Numimsmatic Error Collectors of America said, " I would call it a "double-struck, stiff collar error." At one time he used to call these “Ram Strikes” (which in this case would have been a double struck ram strike) but he said the term never seemed to catch on. Meanwhile, this writer in not fully convinced this is a double strike at all and like Osina, feel that the doubling could be the result of metal flow. Nonetheless, in checking with Weinberg it appears that if it is in fact “just” a Cupped Uncentered Broadstrike with a Forced-In Tilted Partial Collar (which is what I’d call it) that it would make little difference in value! It’s a fantastic find no matter what you want to call it according to Weinberg. Kmiotek has been collecting coins since he was about six years old which he says amounts to about 40 years. He began colleting when his family lived in Europe, where his father worked, picking out the mostly German, Dutch, and French from his mother’s purse. He describes himself as a general collector leaning more towards foreign coin and some currency but says he also buys United States Proof Sets. He says his in-laws are also collectors and often buy a number of proof sets and give them away as gifts to others in the family. He says he’s particularly grateful for the one they gave him this year! 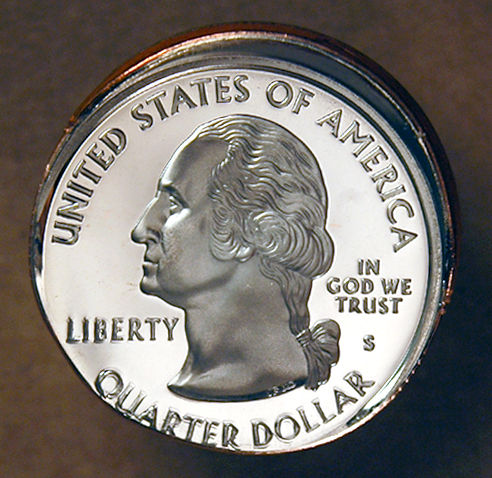 Ken Potter is the official attributer of world doubled dies for the Combined Organizations of Numismatic Error Collectors of America and for the National Collectors Association of Die Doubling. He also privately lists other collectable variety types on both U.S. and world coins in the Variety Coin Register. He is a regular columnist in Numismatic News’ sister publication, World Coin News, were he pens the Visiting Varieties column. More information on either of the clubs or how to get a coin listed in the Variety Coin Register may be obtained by sending a long self addressed envelope with 60c postage to P.O. Box 760232, Lathrup Village, MI 48076 or by contacting him via email at KPotter256@aol.com. An educational image gallery may be viewed on his website at www.koinpro.com. 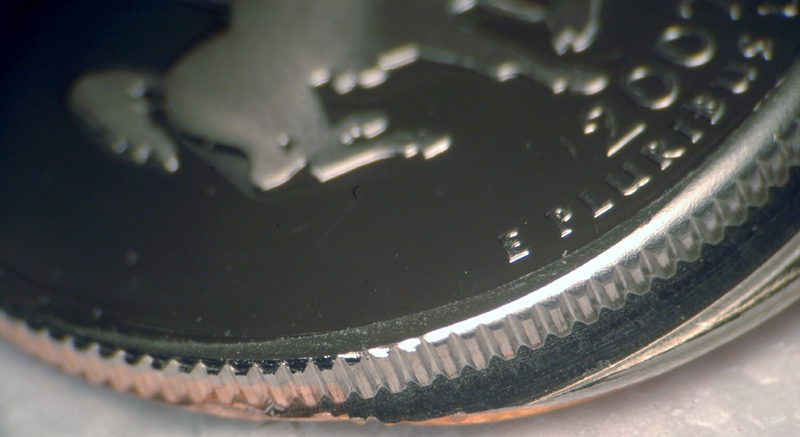 A close look at the edge of this coin reveals that it could have had a sucession of at least six strikes! Here we see that the obverse doubling on UNITED is very faint. On QUARTER DOLLAR we see that the doubling is particulary strong. 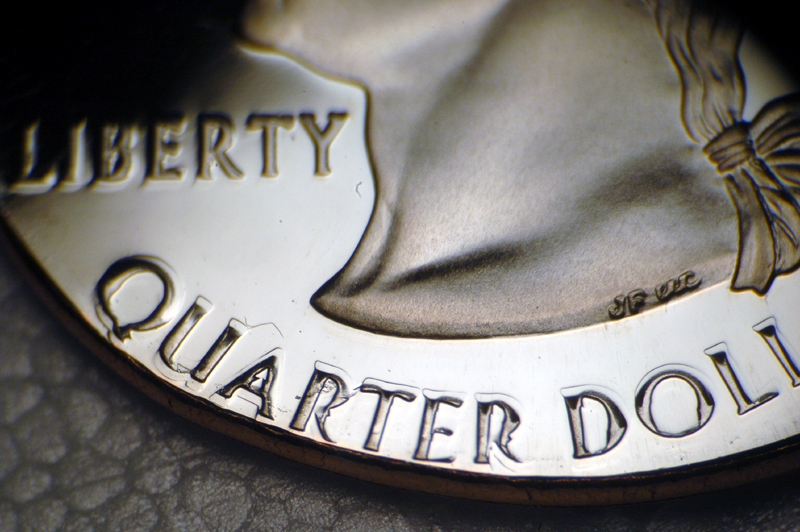 A closer look at the QUA of QUARTER. 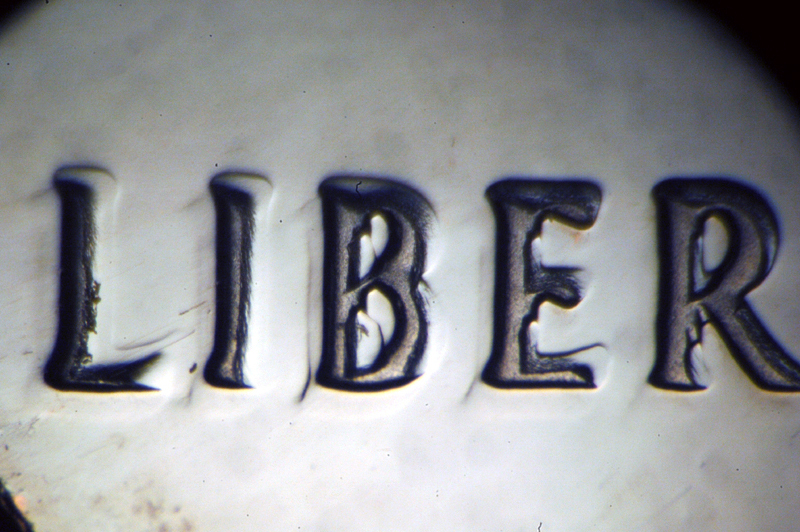 A close look at the doubling in LIBER shows it as very strong. 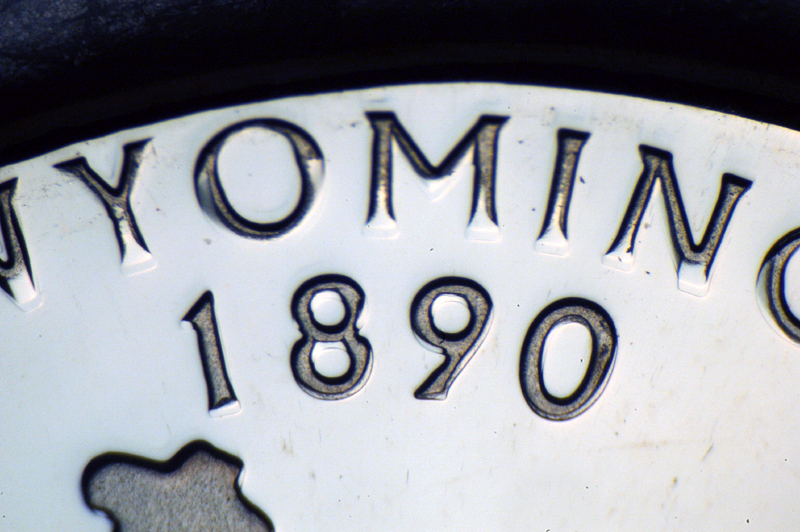 The doubling on the reverse appears less than that on the obverse with some of the strongest on WYOMING and the date 1890 up at the top of the reverse design. 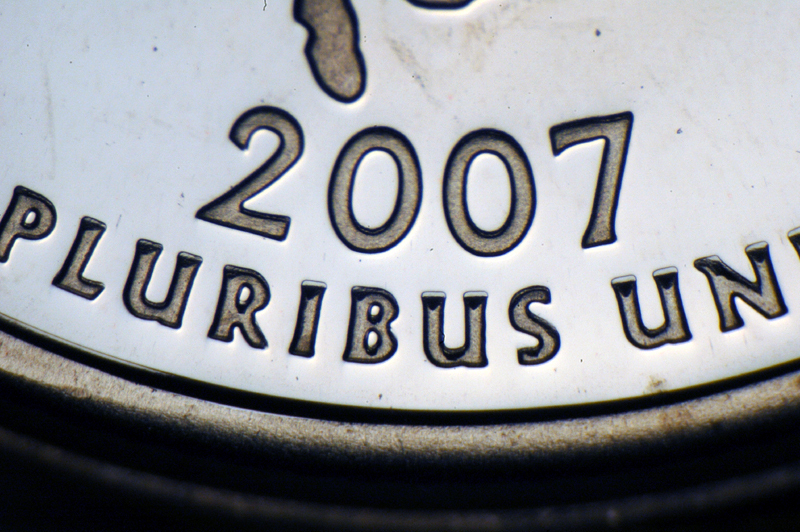 The doubling is less at the opposite side of the reverse on 2007 and E PLURIBUS UNUM.